Setting an official standard for excellent, patient-centered cancer care. 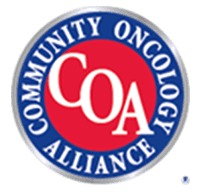 Oncology Medical Home (OMH) is a patient-centered model of care that prioritizes your needs through enhanced care coordination, compliance with rigorous performance standards, and a unified focus on beating your cancer. RCCA has adopted the OMH model to ensure you are provided the highest quality, evidence-based treatment while improving your care experience in every category — from treatment to survivorship. Your wishes are our priority, and being in an Oncology Medical Home guarantees those wishes are honored all the way. Generally, people orient their medical treatment around a primary care physician who refers out to specialists. However, when you have cancer, you need to consider all medical concerns in the context of your cancer — it becomes your primary focus, and it’s your choice where and how you will be treated. In that sense, RCCA will serve as the“medical home” for you and your family. And by following the OMH model, we provide both a compassionate, primary care environment and a rigorous system of self-improvement across all of our clinics, with you as our priority. By following the tenets of OMH, we provide evidence-based cancer care in a compassionate environment. Patient-centric – Every decision we (you and your doctor, together) make will revolve around your needs. 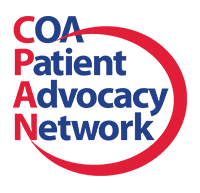 Care coordination – Rapid communication and problem solving between your oncologist, primary care physician and any other doctors involved with your care. Accessible and efficient – Care needs to be affordable, of the highest quality and available to you. Evidence-based – We only provide treatments with proven effectiveness. 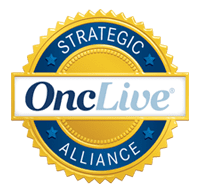 Regular assessment and continous improvement – By evaluating our performance in each category and comparing our results to those of other OMH cancer care centers, we’re continously innovating our methods and elevating the level of care we’re able to provide. Your input helps guide our care. Your feedback is an indispensible part of the OMH model because we’re pursuing care that’s optimized for the patient. We invite you to notify us if you have any comments, questions or concerns, and you’ll have the opportunity to provide feedback through surveys.